Crafty Jan strikes again. I pretty much never wrap any gift I give if my mom’s available to help. 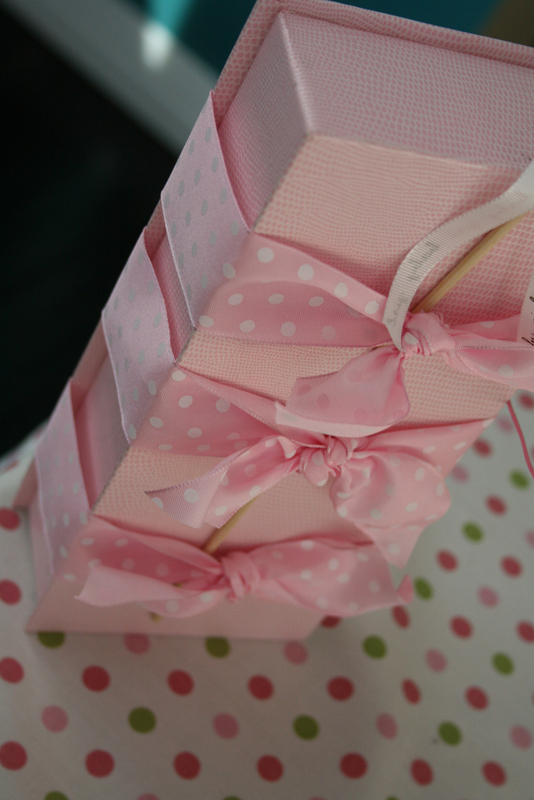 This time she wrapped my and her gift for Kari’s shower using beautiful ribbons. I’m really not crafty when it comes to things like this, but I think this is something you could recreate. The key is in a cute box. She picks up boxes like these wherever she can find them but I would start at Target and see what you can find. 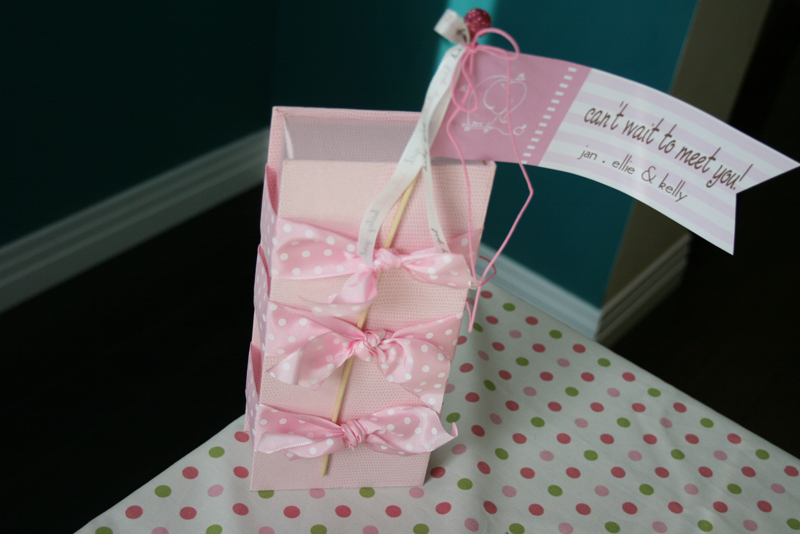 Then wrap those pretty ribbons all over the box and you’ve got yourself a little piece of art. 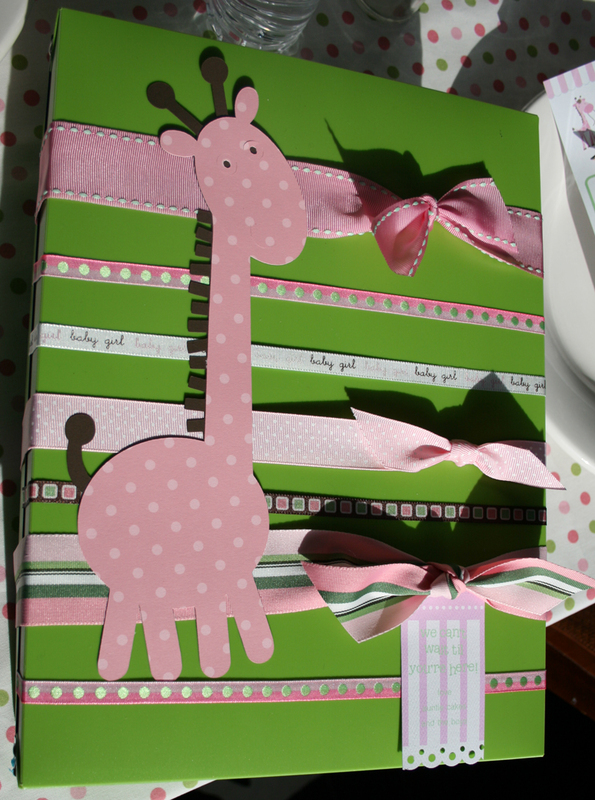 (It’s pretty enough without the giraffe so don’t fret if all you’ve got are ribbons.) Speaking of ribbons, make sure you cut on the diagonal or in a V shape. A straight cut just doesn’t do it for me. 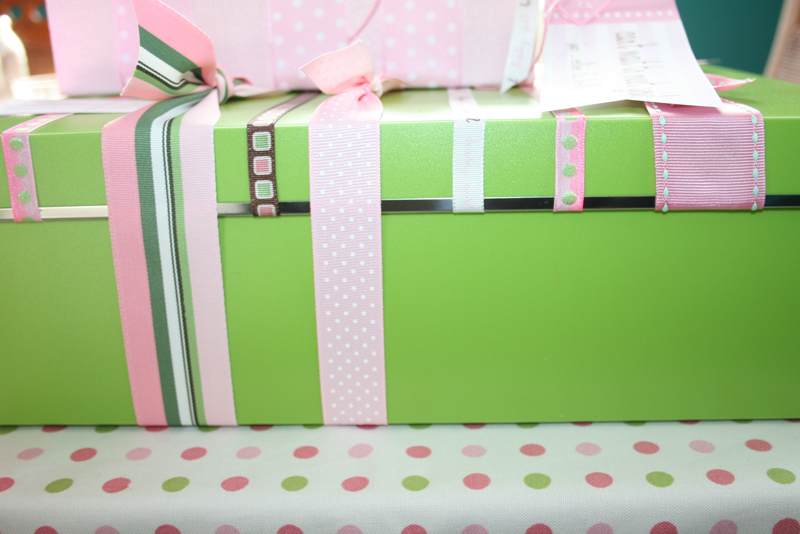 Here’s a monochromatic look at another gift this crazy lady wrapped. So sweet, right? 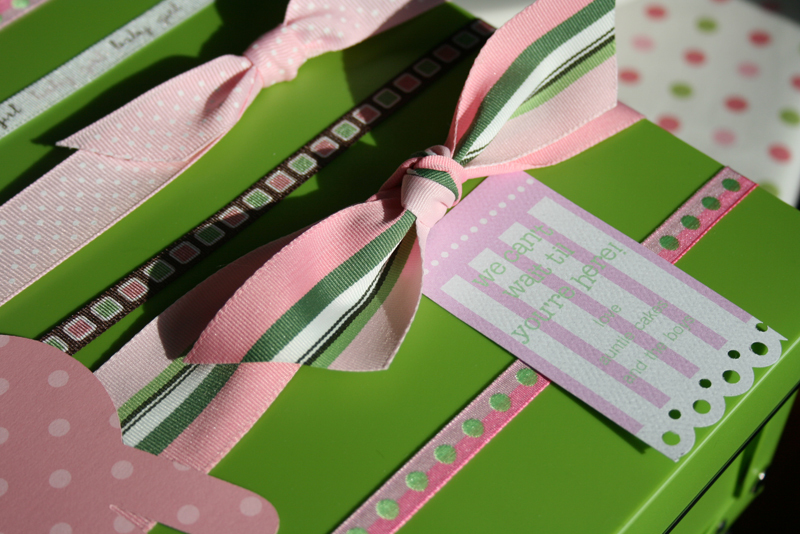 Pretty box + pretty ribbons = pretty present. Nice job, Jannie! Oh and what’s that you say? You’re curious about that adorable flag? Okay, okay. I’ll teach you how to make one of those next week! Have a good one! 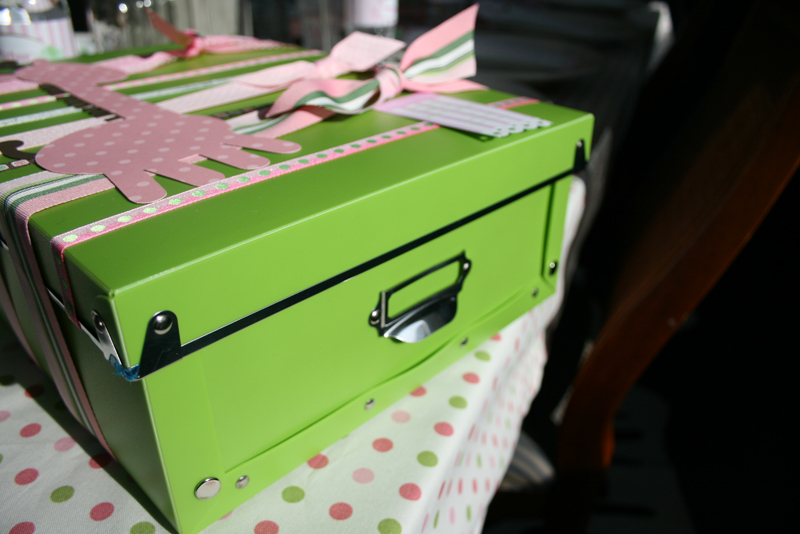 This entry was posted in crafty jan, it's a wrap and tagged creative gift wrap, gift wrap, gift wrapping ideas, ribbons, unique gift wrapping ideas, wrapping gifts, wrapping gifts with ribbons by Annika. Bookmark the permalink. thanks for the help with these . . . so fun . . . Crafty Jan is some type of wrapping savant!